Gardening is an art form, but sometimes it can also turn out to be quite a chore, especially when you don’t have the right tools for the job. When you need to cut through branches thicker than an inch in diameter, pruning saws are too much work, while pruning shears can be broken easily if you apply too much force. Enter pruning loppers! The best lopper will come in very handy when it comes to pruning out thicker branches and twigs. 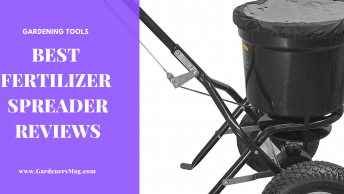 Read on to find all about loppers and the reviews of the best ones out there. As is always the case with tools and equipment, you need to know exactly what you’re after before purchasing. Our guide will help you better understand loppers and make the right choice after reading it. Let’s start off with all the important things you need to consider before making a purchase. Obviously, the most important thing to consider on any lopper is the blade that does the actual cutting. First of all, you need to understand that there are two different types of loppers and they are meant for different sorts of pruning. This means that you might need to buy one of each type. These loppers have a single straight blade (the upper jaw) and the lower is an anvil. The blade or upper jaw cuts the branches against the lower jaw which acts as an anvil; this is why they are called anvil loppers. Because of the design (anvil, telescoping handle, etc. ), they are the best choice if you want to cut really thick branches. It is often the case that the blade actually crushes the wood that you’re trimming, so anvil loppers are best used on dead wood and for rough trimming of live wood that you’d finish off with a nice, precise bypass lopper. These loppers are the more common type, and their blades cut pretty much the same way as a pair of scissors (the jaws cross each other when closed). 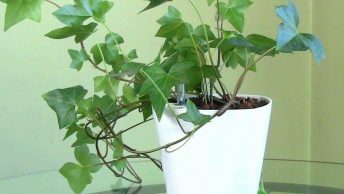 They are meant for more precise work and they provide you with a really clean cut, which is also beneficial for the plants, as cleanly cut live wood will heal a lot more quickly. If you use a bypass lopper on dry branches and dead wood, the blade can often get damaged, so you might want to combine it with an anvil lopper for such endeavors. Keep in mind that no loppers should be used for any branches thicker than two inches. In that case you will need the good old pruning saw. Now that we’ve covered the different types of blades, let’s discuss other important blade issues, such as materials. 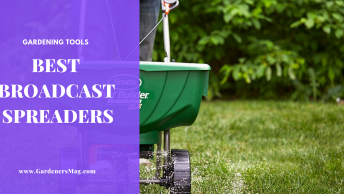 In most cases, pruning loppers have steel blades, but if you’re aiming for a top-notch product, you might want to look for loppers with hardened steel or even carbon steel blades. Ordinary steel blades bend under heavy duty use, and usually require more effort to cut through branches. Carbon steel blades cut much easier. They last longer, are less likely to get out of shape, and also don’t need to be sharpened as often as regular steel blades. If you plan on pruning trees that have a lot of sticky sap, you can also opt for coated lopper blades, usually of something non-stick. When purchasing your new lopper, you should always go for blades that pass as close to each other as possible. On some models, you can even make adjustments to how tight the whole cutting mechanism is. The edge of a good blade needs to be perfectly flat, so no bends, burrs, or rough spots are allowed. The cutting mechanism on the loppers is designed so that it can multiply the cutting force, so you need less effort to cut through branches. There are three types of cutting mechanisms, each with its own advantages. The main advantage of this mechanism is that when you close the handles they instantly latch so that you can release them and close again. This way you can cut more easily and in smaller steps. Just as the name suggests, loppers with a geared mechanism use gears that are located at the fulcrum. The main advantage of this design is that you get more leverage when you cut. 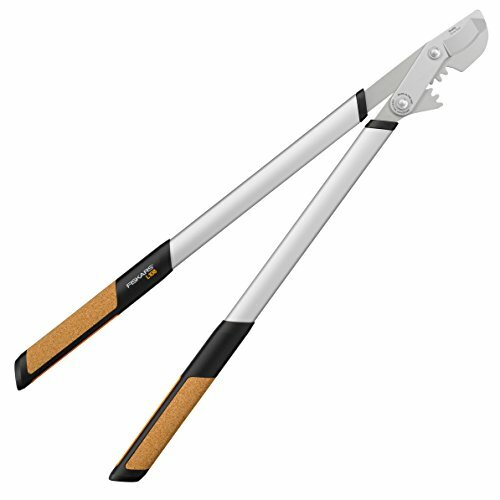 These loppers offer you an advantage of multiple pivot points and there are also more moving parts, but the disadvantage is that you need to open the handles much more than other mechanisms to get the cutting done. We strongly suggest going for the ones which have the least moving parts, because there are fewer things that can go wrong. Just keep it simple. The length of the handles affects the amount of leverage you get during the cutting process. Longer handles give you more leverage and make it easier to cut through thick branches. Shorter lopper handles usually range from 15 to 18 inches, while the ones that are considered long usually exceed 32 inches. Even though longer handles give you more leverage, they make the loppers much heavier. Therefore, they are more difficult to work with than the shorter ones. When you’re at the home improvement shop, always choose a lopper that you can handle most comfortably. If the issue with the handle length is bugging you, it’s good to know that anvil loppers come with telescopic handles. When you need more control, you can use them as regular short loppers. But, when you get to thicker branches, you simply extend the telescoping handles. This gives you a longer reach and considerably more leverage. Although these are an excellent compromise for when you can’t decide on a fixed handle length, keep in mind that they are considerably heavier than their non-telescopic counterparts. Make sure that the telescopic loppers you choose have a locking mechanism. The handle grips come in different shapes, sizes, and materials. Some grips feature an ergonomic design to better fit your hands, while others are covered with softer materials to cushion the impact. Keep in mind that these softer grips are more comfortable but they are also more prone to damage. Perhaps it’s best to try out a few and decide for yourself which grip gives you the most comfortable pruning experience. If you’re aiming for a high quality lopper, you should definitely go for one that features a cushioning mechanism located near the jaws, in most cases in the form of a bumper. The idea is to prevent the handles from getting smashed together as you’re making cuts. When looking at the loppers that are equipped with a bumper, keep in mind that your hands shouldn’t touch as you close the loppers. The bumper has to fully absorb the shock. As is the case with most tools and machinery, it is very important to pay attention to proper maintenance and replacement parts. Some loppers come apart so that you can easily clean and sharpen the blade. 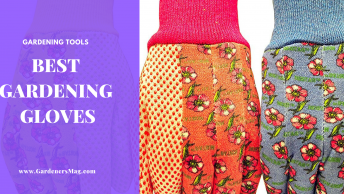 On the other hand, there are pruning loppers which are simply not designed so that you can replace any parts once they are worn out, damaged, or broken. Remember, twisting the lopper during pruning, which you should never do, can damage the blade quite easily. Also, if you use a bypass lopper to cut deadwood, or if you simply use a lopper to cut branches that are too thick, you can severely damage the blade. First things first, always aim for a lopper that comes equipped with a bolt that holds the jaws together. You can easily replace the blade on such loppers. 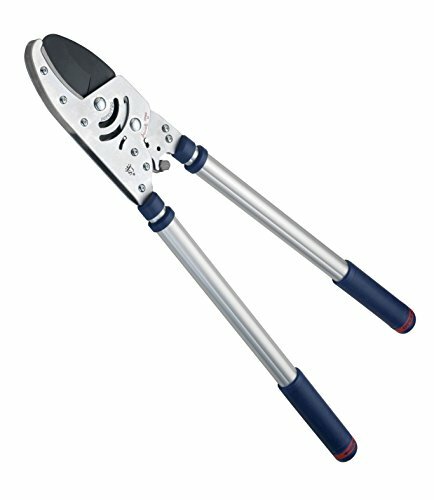 We strongly suggest always going for loppers which have replacement parts. You can always check this on the manufacturer’s website. The weight of loppers is commonly determined by the material of the handles. Steel loppers are usually the heaviest. Those with wooden handles are usually in-between – if you want your lopper to be as light as possible, you should choose one that has a fiberglass or aluminum handle. Even though steel loppers are the heaviest, they are meant for heavy-duty use where you need considerably larger cutting capacities. Since they are heavy, they might not be suited for prolonged use on a regular basis. Last but not least, you need to pay attention to the cutting capacity of your lopper. The weight of a lopper correlates with its power and is, of course, relative to your own fitness and strength. The lighter the loppers, the smaller the cutting capacity, it is really that simple. You can always compensate for the small cutting capacity of a pruning lopper with a nice pruning saw. 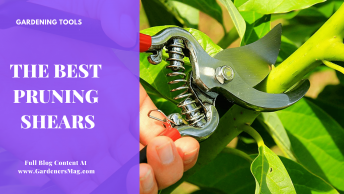 Now that you’re well aware of all the important factors in choosing pruning loppers, let’s help you decide on the best lopper by showing a few which we firmly believe are worthy of your attention. 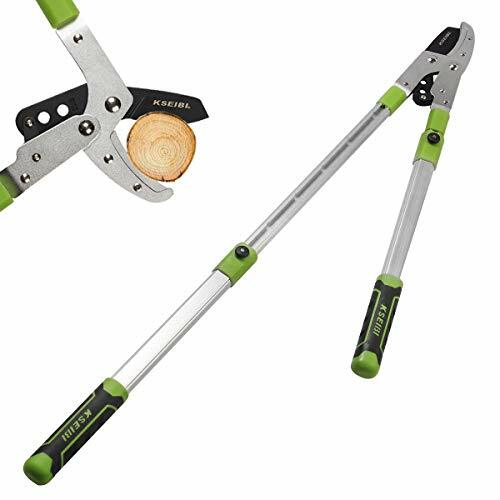 Let’s start things off with a bypass lopper designed for cutting branches up to 2 inches thick. The Fiskars PowerGear 2 is a serious pruning tool out and out. The blade is made of hardened steel, so it really cuts through virtually anything. Besides that, it also has a low-friction coating which improves the resistance to rust and makes for much easier cutting. The cutting mechanism features patented gear technology, so the leverage you get with each cut is multiplied and you get much more power compared to similar tools on the market. 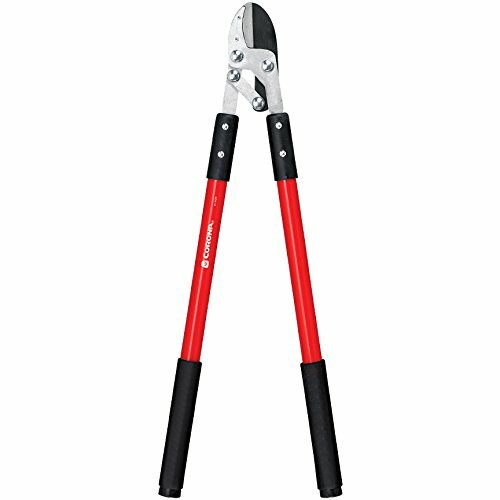 The grip on the handles is soft and comfy, so this lopper is probably the best for those who are buying such tools for the first time. Here is another quality product equipped with a quality carbon steel blade. The Tabor Tools GG11 is designed so that it can easily cut through branches up to 1 3/4 inches thick. Compared to the Fiskar PowerGear2 above, it might come off as a lot less, but you need to consider the fact that this lopper has slightly shorter handles. The 30-inch handles on the GG11 provide you with greater control and precision, and you can also work much faster. This lopper is of the bypass type, and the jaws are designed to preserve the overall health of the trees and plants that you cut. It goes without saying that the jaws come with a non-stick coating, which makes for a more comfortable cutting experience. Speaking of comfort, the handles are equipped with rubberized grips which are great at absorbing shocks. Here we have yet another bypass lopper, coming from Songmics, a reputable maker of gardening tools. The first thing you’ll notice is the attractive design and a neat yellow and black color combination. The blade is made from hardened manganese steel and the factory specs say that it can cut through branches of up to 1 5/8 inches thick. The Songmics UGLT67Y achieves very clean cuts that cause minimal damage to the trees and plants. Speaking of size, this one measures 26 11/16 inches in total length, and the handles are a little less than 20” long. The handles also feature non-slipping grips which make for a rather comfortable pruning experience. For a change, we now want to present you a lopper of the anvil type. 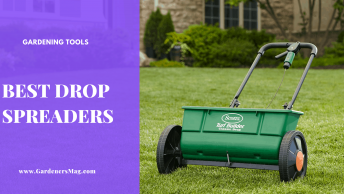 Once again we’re back to a cutting size of up to 2 inches of thickness, so you can consider these as heavy-duty loppers. They can be also used for cutting dead wood. Of course, the blade is made from hardened steel and it is also covered with a Teflon coating, so it is resistant to rust and is very easy to clean and maintain. On top of all this, the handles are made from aluminum and they are telescopic, so their length can extend or contract from 27 to even 40 inches. Also, the telescopic mechanism features a lock button, for obvious safety reasons. 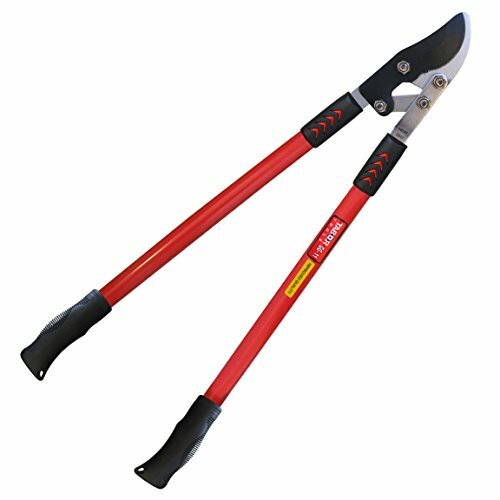 Highly adjustable, the Kseibi 252606 is one of the best pruning loppers available on the market. If you want to buy a quality pruning lopper, but need to stay within your budget, the Corona FL 3420 might just be the one for you. Of course, a lower price also means fewer options and reduced cutting ability, but they can still get the job done just fine. The Corona’s cutting capacity is the lowest of all models on our list, so you can cut branches of up to 1.5 inches thick. On the other hand, the handles are 32 inches long and they feature 8-inch foam grips which will give you some much needed comfort. The blade is made of carbon steel and features a layer of non-stick coating for nice and clean cuts. Both the jaws and other moving components can easily be replaced, and the blade is easy to sharpen, which means very low maintenance. On the pricier end of the spectrum, we have the Spear & Jackson 8290RS, basically the Terminator of pruning loppers. This one is meant for some heavy-duty work and has the look of it. This is an anvil lopper with a ratchet-type cutting mechanism, and it features a massively powerful coated carbon steel blade with a very thick lower jaw that acts as the anvil. The handles are aluminum and telescopic. Of course, there are rubber grips for increased comfort during pruning. On top of it all, it comes with a TEN YEAR guarantee. This is the best lopper we’ve seen so far. Now that you’ve seen some of the most amazing loppers out there, it is time to announce the winner. It was tough to decide on one, but in our opinion, the best lopper is the Spear & Jackson 8290RS ratchet anvil lopper. The 8290RS has heavy-duty carbon steel blades and telescopic handles, and best of all it successfully ticks all the boxes as covered earlier in the guide part of our article. On the other hand, for clean cuts you’ll need a bypass lopper and our favorite is the Fiskars PowerGear2. The one reviewed is the 32” version, but the PowerGear2 also comes with 18” and 25” handles if you only have thin branches to deal with.